This might not have been one of her best books, but a solid read anyway. And I enjoyed it while reading. 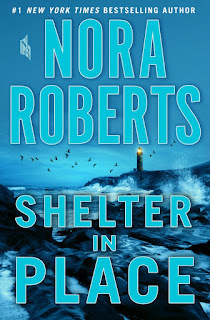 Nora Roberts simply knows how to combine romance with a tense topic without losing the level in her style. It was a typical summer evening at the mall in Rockpoint, not far from Portland. Three teenage friends waited for the movie to start. A boy flirted with the girl selling sunglasses at a kiosk. Mothers and children shopped together, and the manager at the video-game store tended to his customers. Then the shooters arrived. The chaos and carnage lasted only eight minutes before the killers were taken down. But for those who lived through it, the effects would last forever. In the years that followed, one would dedicate himself to a law enforcement career. Another would close herself off, trying to bury the memory of huddling in a Ladies´ room, helplessly clutching her cell phone – until she finally found a way to pour the emotions of that night into her art. Some people would devour the details of the tragedy obsessively, while others avoided anything that might trigger flashbacks. Some would strive to exploit the event for fame or profit. But for one person, the shockingly high death toll at the DownEast Mall wasn´t high enough, the incalculable sorrow inflicted not enough to satisfy. And as the survivors´ lives play out and intertwine in surprising ways, as they heal, find shelter, and rebuild, they will discover that another conspirator has been lying in wait ever since that terrible night – and this time there might be nowhere safe to hide. At first, I was wondering, what the cover motive might have to do with the novel itself, and the blurb wasn´t giving me any hint. But after I´ve started reading, it became very clear, and I´d have to say, very fitting. Simone´s life changes from one second to the other during what was supposed to be a normal evening out with her best friends. But with the bullets flying around all over the place and people are screaming and dying, Simone does the only thing she can think of. Calling for help. And from that moment on, she does whatever she can to keep that horrible incident in the past and out of her actual life. Not knowing, that she hurts others with her new lifestyle and way of thinking. Only her grandmother CiCi understands her. And with Reed stepping into her life again years later, Simone finally starts to see what wounds that tragic day has caused in her. With this book,, the author has changed her writing style a tiny bit. Usually, her style is smooth, soft and very sensitive. This time, it reads a bit like a staccato-rhythm and irritated me at first. But after some chapters, I´ve got used to it. The author still writes in a sensitive way about a shooting rampage and shows what consequences such a brutal and cruel act has and can have on people. To turn something bad in something good, that is, at least I see it that way, one of the messages, this novel contains. Somehow a few things, like the island CiCi is living on, sounded very familiar to me. And after searching a bit, I knew that the author had used an island in one of her other books as well as for the main figure. Thankfully she created a completely different place with the island in this novel, so no harm was done. Simone sees herself as an ordinary teenage girl, that just got dumped in the most awful way. Why should any boy want to be friends with her when she looks like a mouse? When she isn´t even allowed to dye her hair? Any other girl around her looks way better than she does. At least that´s how she sees it. The way how she changes, after the fatal shooting at the Mall, is impressive. Sure, she shows every sign of a restless person after going through such a nightmare, but she is coping with it in her very own way. And when she discovers with the help of her grandmother CiCi that she, too, has a creative talent, she starts to heal bit by bit. 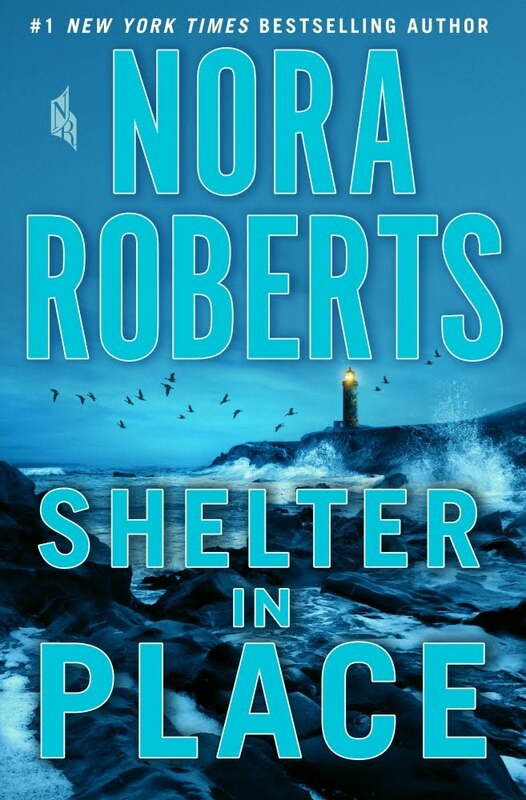 Her art is amazing, her way to honor the dead, to value life is beautiful and I liked it very much to read the scenes in which Nora Roberts described the process Simone went through while creating her art. Shelter in Place is a solid reading pleasure, no doubt about that. But nothing out of the ordinary I´d say. Don´t get me wrong, I had a wonderful time reading it, and consider this novel a good book to spend an afternoon or weekend with. Despite that, I am also not shy to say that the author´s written other books that caught me way more. Nora is a member of several writer’s groups and has won countless awards from her colleagues and the publishing industry. Recently The New Yorker called her “America’s favorite novelist.” She is also the author of the bestselling futuristic suspense series written under the pen name J. D. Robb. There are more than 500 million copies of her books in print.